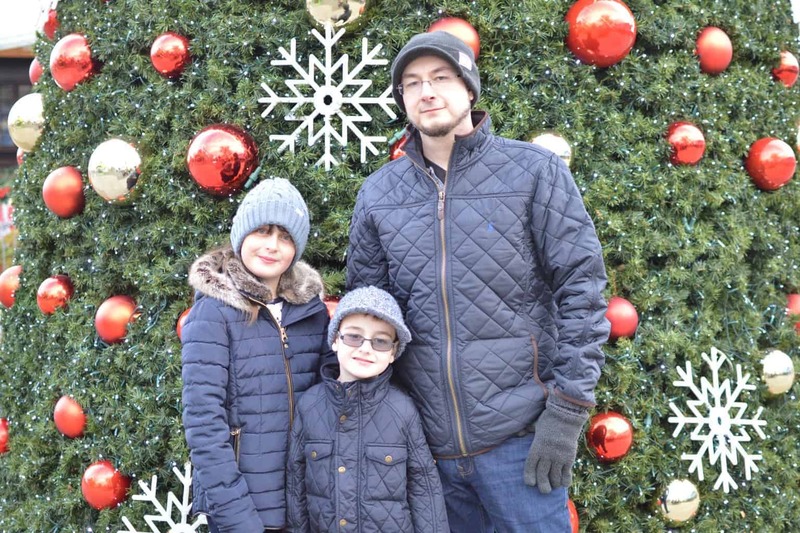 When it comes to family traditions, visiting Drayton Manor at least once a year has become one of ours. 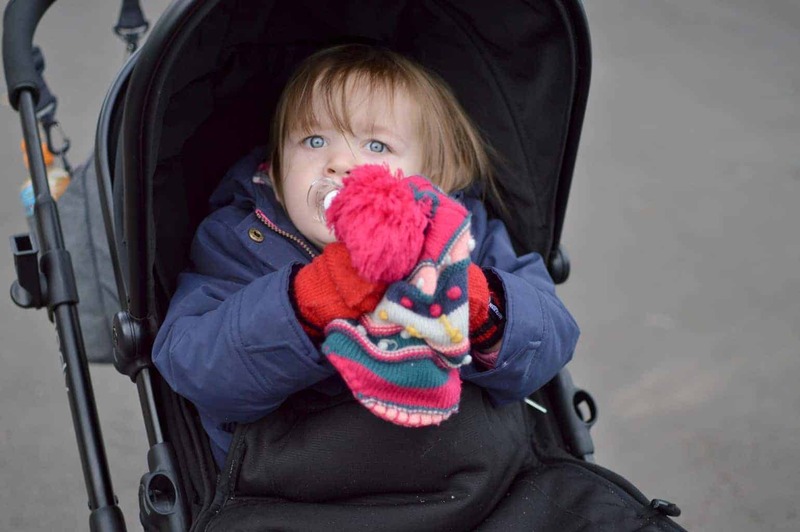 Although it is never just one visit, it’s two, three, four plus visit as everyone loves reconnecting with Thomas Land, Drayton Manor Zoo and the bigger rides within Drayton Manor itself. 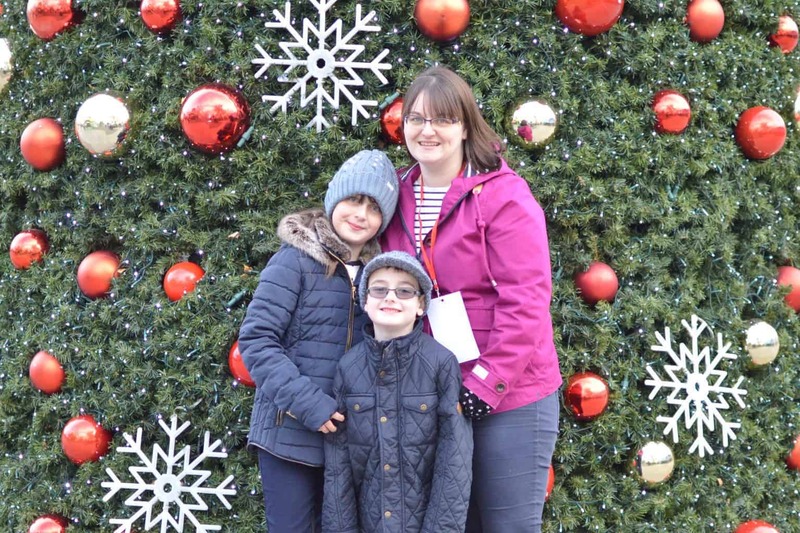 Last year we finally made it to the Drayton Manor Magical Christmas. 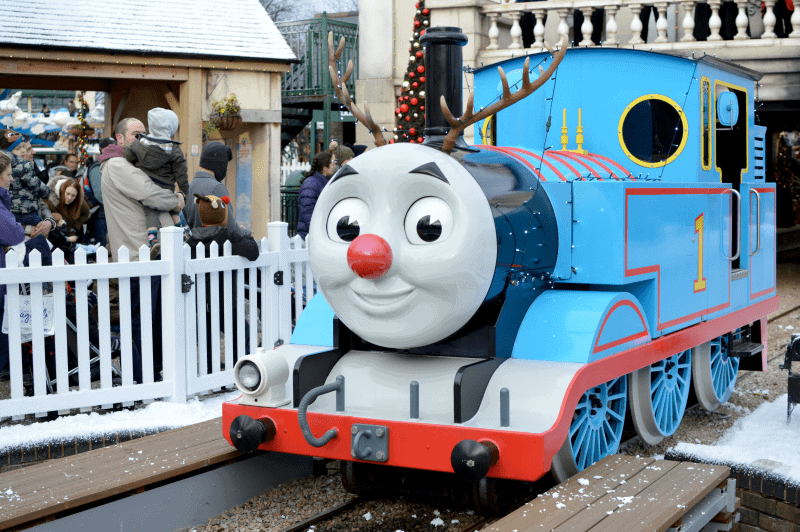 A chance for us to see our beloved Thomas Land transformed into a winter wonderland. Having enjoyed the magic so much last year we returned again this year. This time bringing Mr. Boo with us to partake in the festivities. Celebrating 10 years of Magical Christmas, with live shows, carols, presents, light shows, festive food, Father Christmas and every day ending with fireworks, plus so much more. 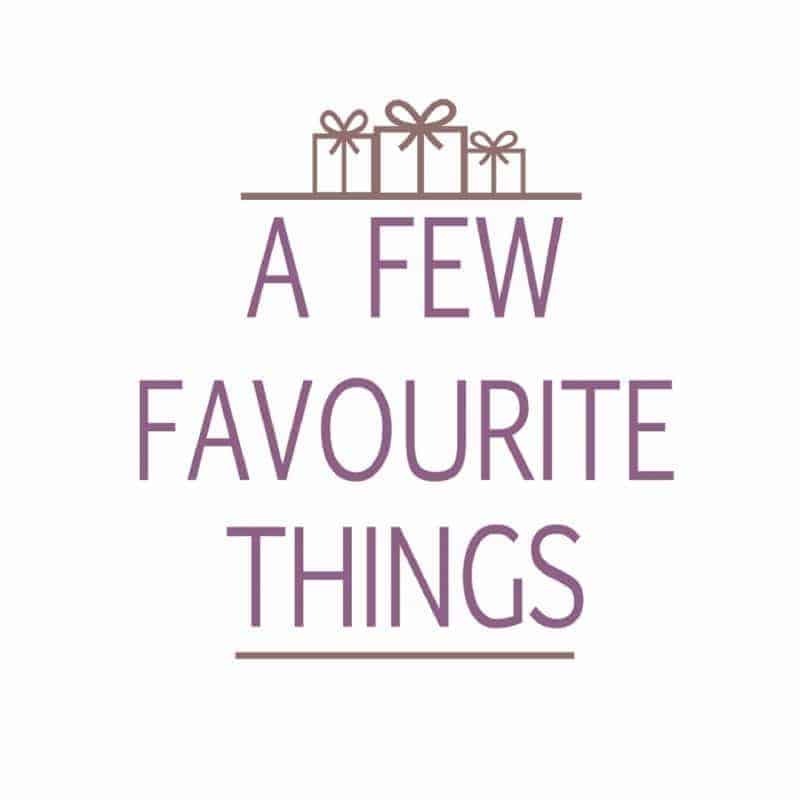 What more could you want from our fantastic Magical Christmas event? Walking from the car park to the main entrance you can already see the park’s transformation into a magical Christmas. With posts, poles and buildings all decorated welcoming you into the park. Entering the main gates and walking down towards Thomas Land the magic really starts to come alive, with decorations, a scattering of snow and festive tunes playing in the background. 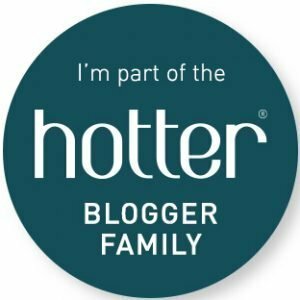 Drayton’s Magical Christmas // What’s On? Take the time to walk around Thomas Land, the zoo and central Castle of Dreams areas to take in the beauty of the season. Before unfolding your park map and deciding on what you want to do first. With a range of Thomas Land rides, live shows, meet and greets, parade, and fireworks to keep you occupied. 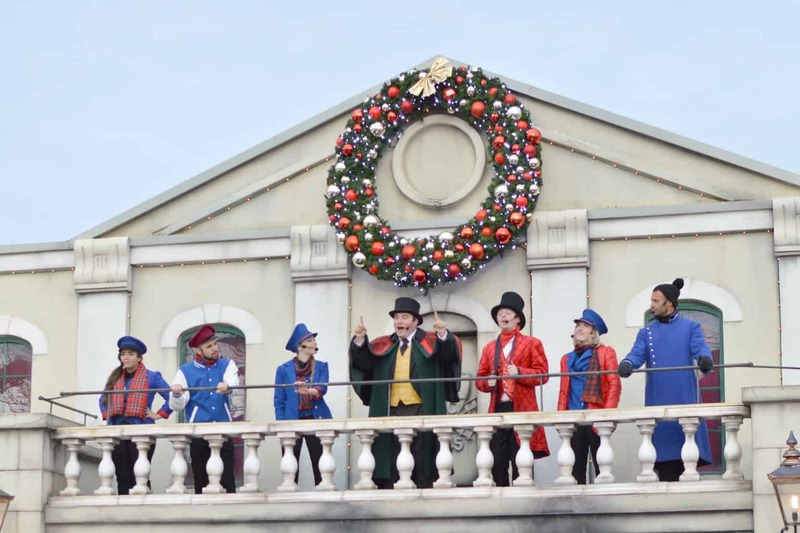 Taking place each hour between 12pm and 4pm, join the Fat Controller and some of his drivers as they put on a magical Christmas show. With tunes, jokes, and entertainment, followed by snowfall! Plus the opportunity to meet and greet the characters after the shows. 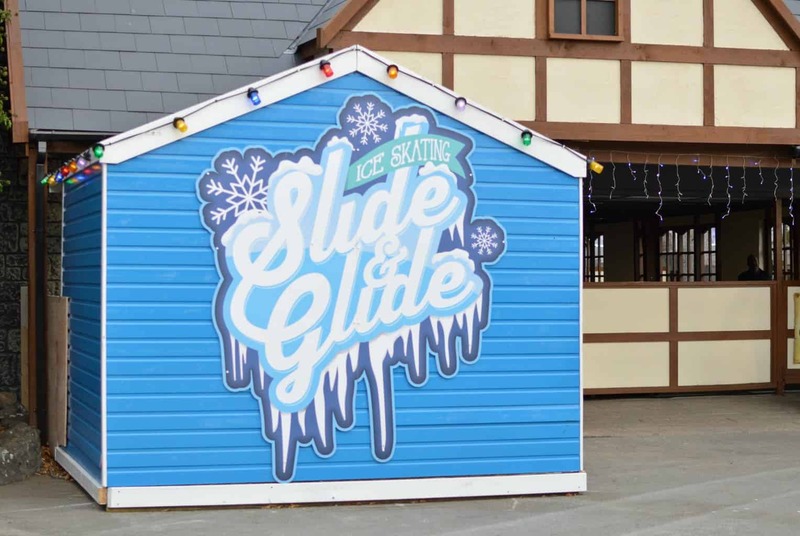 Pop on some skates and try your hand at ice skating on the indoor slide & glide rink. Included in your ticket price and no need to pre-book now is the chance to cross something off your must-do list – even if you do even up looking like Bambi on ice. 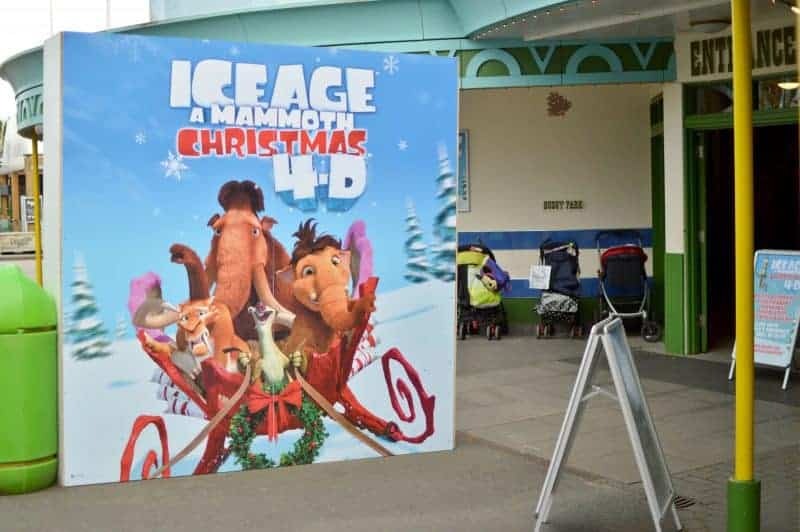 Visit the 4D cinema for an amazing Ice Age: A Mammoth Christmas adventure. 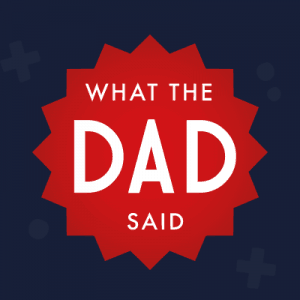 The 15-minute showing showcases Sid accidentally landing himself on the ‘naughty list’. He leads the gang in a hilarious quest to the North Pole to try to make things right with Father Christmas. Making your way into the Castle of Dreams for a pre-booked time slot with Father Christmas. Waiting for the doors to open the friendly elves engage with you and prompt you to think about Christmas gifts and whether or not they have made it to the ‘good list’. Welcomed into the Castle of Dreams you are guided into a side room to meet Father Christmas. With the room festively decorated with a fireplace, Christmas tree and extra seating for the children to sit with Father Christmas as they share what they would like for Christmas. Father Christmas asking the children to leave a mince pie, carrot and a glass of milk out on Christmas Eve. Time for a quick photo to remember the visit before a Christmas treat bag is handed over to the children – containing a Christmas book, chocolate lollipop and a free child entry ticket for the 2018 season. After saying goodbye to Father Christmas it is time to explore the rest of the Castle of Dreams. 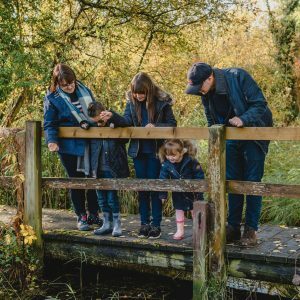 With the opportunity to purchase Father Christmas photos as well as partake in activities and games. Plus a chance to see what the Drayton Manor Christmas shop has to offer, with a range of decorations, gifts, and toys. Now you’re down in the Zoo, you must meet Tika and Pema, Red Pandas who are very eager to welcome you. 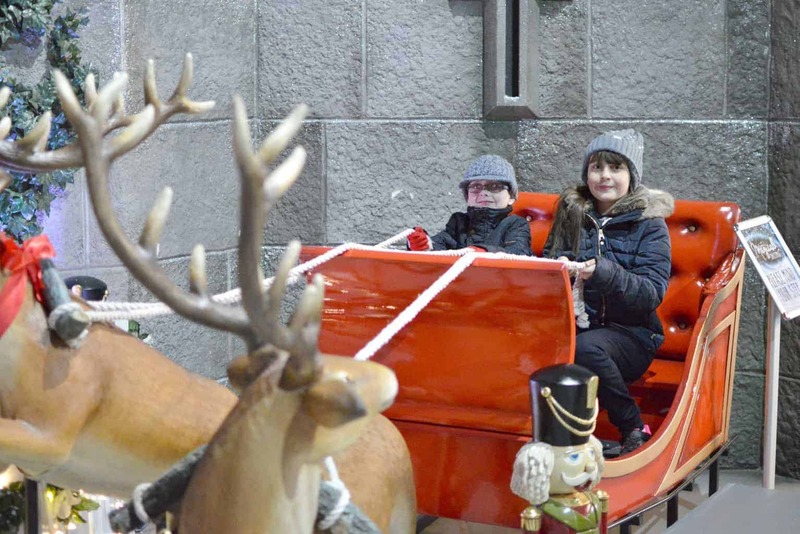 Before you leave and head off on your journey home, pop into the Castle of Dreams where you will find Father Christmas, his elves and maybe a little present just for you. Drayton’s Magical Christmas is running Saturday 18th November to Sunday 31st December 2017 – please visit the Drayton Manor website to book tickets.